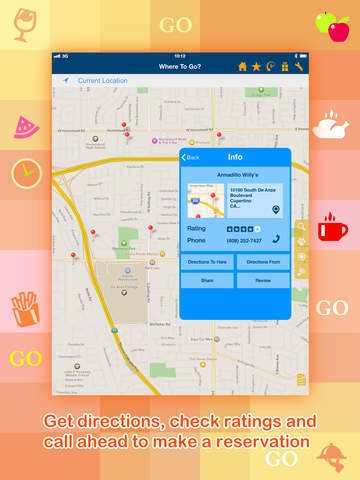 No matter if you need to find the closest bar, grocery store, pharmacy, taxi firm or historical point-of-interest, WhereToGo is the app you need. Can't decide where to go? Use our Shake-to-Suggest feature to explore and experiment! ✔ Works with any version of the iPhone, iPod touch or iPad with OS 3.0 or above. ✔ Over 500 preset searches sorted into 12 common categories. ✔ Search can be done within a few taps, no typing needed. ✔ Fully customizable. You can sort, add, remove, rename all items. ✔ Simple user interface and intuitive user experience. ✔ Review your recent searches and most used searches. ✔ Configure start-up view, choose between home, recents or last viewed. ✔ Shake-to-Suggest, deciding on where to go can be just a shake away. ✔ User Ratings and Reviews, sharing your experience with other users. Check out http://www.ondemandworld.com/wheretogo/ for more info. If you have any problems with installation or in-app purchase, found bugs, questions, comments about this application, you can visit the official website of Networking 2.0 Edward Tsang at http://www.ondemandworld.com/wheretogo/. 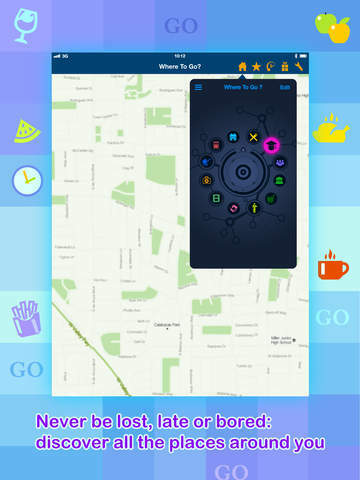 KidStuff - Find the closest kids activities, no matter where you are in the world. London City Maps - Download Underground, Bus, Train Maps and Tourist Guides. Tokyo City Maps - Download Subway Maps, Rail Maps and Tourist Guides. London City Maps Lite - Download (Tube) Underground, Bus and Train Maps. Beijing Maps - Download Subway Maps, Street Maps and Tourist Guides. Paris Maps - Download Metro, Bus, Train Maps and Tourist Guides. 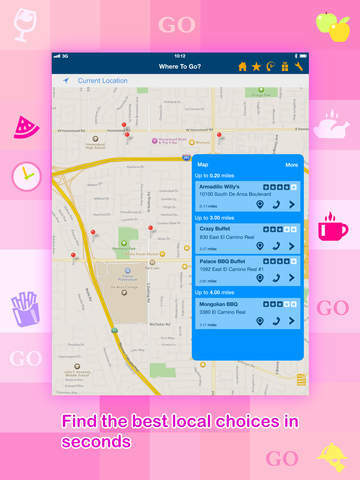 Los Angeles Maps - Download Metro, Rail, Bike Maps and Tourist Guides. Amsterdam Maps - Download City Maps and Tourist Guides. Madrid Maps - Download Metro Maps, City Maps and Tourist Guides.